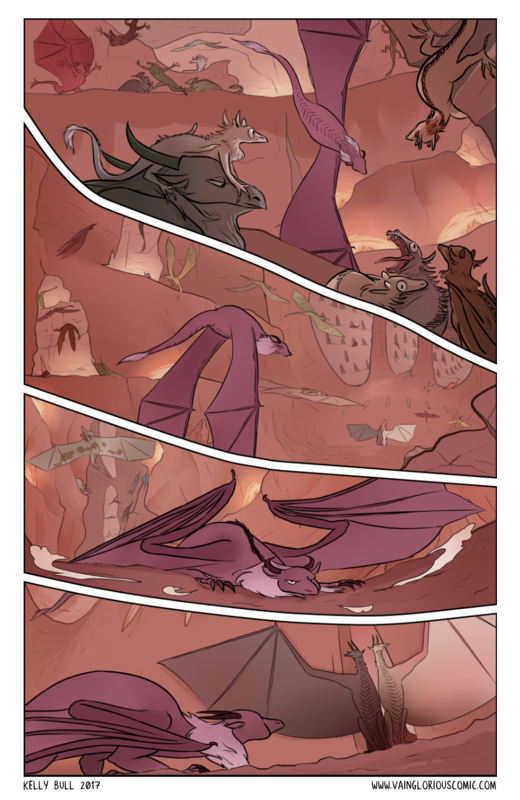 One thing that was really difficult this page was trying to show the dragons' full wingspans - their bodies are so tiny compared to their wings! I should get the hang of it the more I draw flying scenes. I don't have a Patreon yet but if you still want to support this comic, consider buying me a coffee on Ko-fi! I'll be putting a button link at the end of these posts each update if you ever want to donate a small $3 amount! In the meantime, thank you so much for reading this comic and don't forget to tell friends about it!